Family owned and operated, Card & Caboodle opened its original store in November 1989 in Little Collins Street, Melbourne. Sisters Judy Katz & Debra O’Donnell discovered their passion for paper products whilst working in a small wholesale greeting card company. 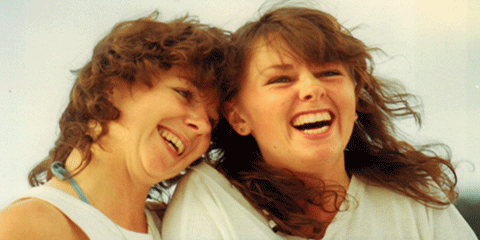 Now, after so many years in retail, Judy & Debra along with some family members and other passionate 'paper lovers', make up the fabulous & inspiring team to run Card & Caboodle’s four gorgeously eclectic bricks and mortar stores. There is also an online store. 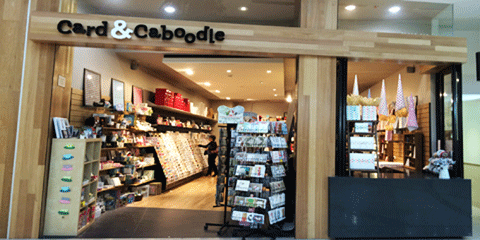 Card & Caboodle believe in service, despite a general trend lately of less of it in retail. Our lives seem busier than ever and time is of the essence, so providing this service becomes imperative to a satisfying retail experience. Whilst technology and cost-effective strategies may determine much of the bottom line in business, it does little to satisfy the basic need for personalized contact through friendly, helpful and efficient service. This one on one interaction has remained an integral part of the Card & Caboodle philosophy. As well as the four bricks & mortar stores, we run an online store and offer mail orders from any of our store locations. Paper products are also heavily influenced by fashion trends and inspired by artists who constantly create innovative concepts, designs, patterns and textures. These innovations are reflected in a vast and ever evolving array of stunning cards, papers and wrapping products. Local & developing artists working through the medium of greeting cards, stationery, wrapping papers & gifts, have formed a unique and essential part of this industry, offering the community affordable art and innovative cutting edge images and ideas. Card & Caboodle aims to offer a world of choice within the card and paper industry - everything from well-known brands right through to little known boutique ranges and home-grown local art and design. Technology based communication certainly has its place, but taking the time to choose a special card or pen a thoughtful letter acknowledges the true value of a relationship, friendship or special occasion - the perfect antidote to the stresses of our fast-paced modern lives! Many industries are faced with the need to re-invent the way in which they conduct their businesses and business practises. There have been many exciting developments in the manufacture of card and paper products, involving the widespread use of recycled & sustainable paper options, biodegradable bags for cards & the use of soy based inks in printing. The card & paper product industry also provides a perfect environment for an ongoing association with various charities. Many of the card makers, especially at Christmas time, donate a portion of the sale of products to their aligned charities – based both locally and overseas. At Card & Caboodle we are proud to offer many of these ranges and are keen to continue this ongoing affiliation.